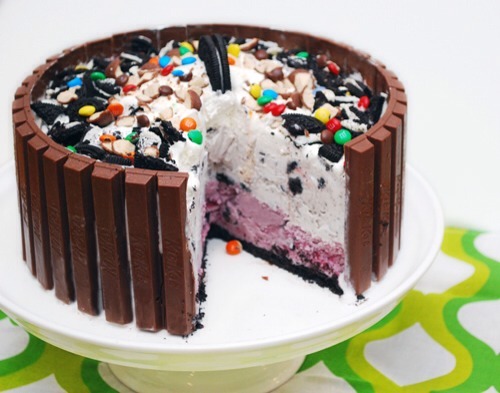 Try to get the kit-kat bars as close to possible as you can, with the kit-kat name facing out, against the side of the spring form pan. Line the bottom of the pan with parchment paper and press the oreo mixture evenly over it. 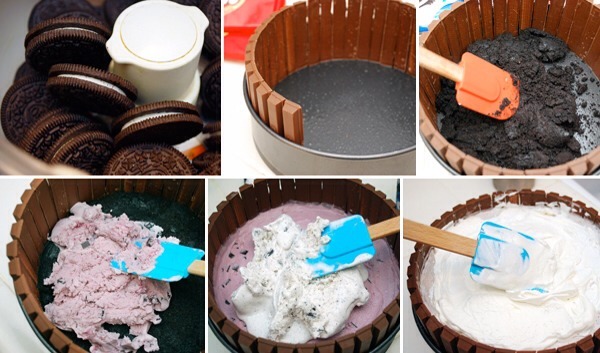 Stir the first flavor of softened ice cream in its container and press evenly over the oreo crust. Stir the second flavor of softened ice cream in its container and press evenly over the first ice cream layer.